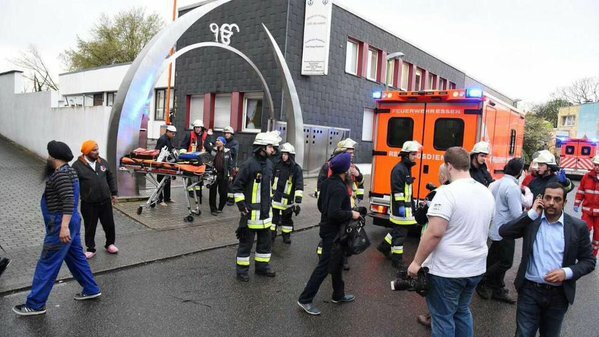 Two secondary school students accused of carrying out a bomb attack on a gurdwara in the German city of Essen nearly two weeks ago are radical Islamists and sympathisers of the Islamic State and Al-Qaeda, authorities said. The two allegedly detonated a fire extinguisher filled with explosives at the entrance of the Nanaksar Satsang Sabha Gurdwara on the evening of April 16. Before setting off the explosion, the two 16-year-old secondary school students unsuccessfully tried to break int the gurdwara through the entrance door, North Rhine Westphalia Interior Minister Ralf Jaeger said on Thursday in a report presented to the home affairs committee of the state parliament in Duesseldorf. They have admitted carrying out the attack, but denied that it was a religious motivated operation, the report said. They told their investigators that they did it "just for the kick of building fireworks". The two from Essen and the neighbouring town of Gelsenkirchen are known to police as members of the radical Salafist sect of Islam, the report said. One of them was interrogated by police in connection with his involvement in cases of causing grievous bodily harm and attempted burglary. He had also expressed his sympathy for IS and Al Qaeda, the report said. His accomplice has been participating in a special programme of the interior ministry for Salafists who have a tendency to get involved in violence and are in danger of being drawn to IS and other terror organisations. He came under police radar attention after threatening a Jewish fellow-student and attempting to obtain firearms, the report said. They were arrested four days after an explosion ripped through the entrance hall of the gurdwara, which hosted a wedding ceremony. Most of the wedding guests had left the Sikh temple to a nearby hall for a reception when the bomb was detonated. A priest of the gurdwara was seriously injured in the blast and had to be admitted to a hospital while two others were treated for minor injuries by emergency medical teams at the scene of the blast. The explosion caused severe damage to the gurdwara building. The two men were tracked down by police after CCTV camera footage showed one of them carried a backpack with the logo "Russel Athletic". Investigators found the remains of a similar backpack in the debris of the blast. The report said that video footage of a CCTV camera placed on a nearby building and at a metro station played a crucial role in apprehending the two men. They are currently in preventive custody.